Creates incredible clean feel and shiny look. 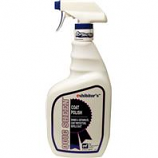 Excellent stain remover low sudsing formula rinses out quickly. Used consistently the optical effects intensifies and enhances shine with each use. No harsh chemicals or bleaches. .
• Affective Anti-Microbial Kills Bacteria & Fungi Associated With Rain Rot, Ringworm, Girth Abrasions. 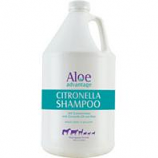 • Gentle Ph Balanced Formula Leaves Coat Clean & Conditioned, Safe To Use On Cuts, Tears, & Abrasions. • Intensifies Black and Reduces Reds In Black Coats. • Imparts Saturated, Rich Color and Brilliant Highlights. • Restores Color To Clipped Or Sunburned Coats. • Removes Scurf With Deep-Cleaning Easy-Rinse Formula. • Leaves Coat Soft, Smooth and Shiny. Rich lather easily rinses getting rid of the toughest dirt and stains. Leaves hair shiny silky and free of residue. Gentle ph balanced formula can be used every day. 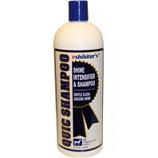 Helps eliminate dry skin and dander. .
• First Aid Shampoo Provides Your Horse With A Clean, Shiny and Soft Coat. Treats Fungus, Rain Rot, Girth Itch and Skin Disease. • The All-Natural and Non-Irritating Ingredients Kill Fungus, Bacteria, Girth Itch, and Stop The Spread Of Skin Diseases. 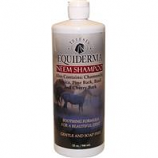 • It Is An Excellent Option For Horses With Skin Problems. • Effective For A Horse With Sensitive Skin and Just A Little Bit Works On An Entire Horse Because The Formula Is Concentrated. • A Little Really Does Go A Long Way. Non-toxic all-natural concentrate. Leaves coat managable deodorized and adds a healthy shine. Does not strip your animal's coat of its natural oils. Made in the usa. .
Moistures and detangles dry hair cuticles. Special blended nourishing with treatment helps soften and smooth hair cuticles. Rich micro prtoeins nourish and strengthen resists breakage and splitting. Creates incredible feel enhancing fullness and increasing luster. .
• An Exclusive Formula Designed To Provide Instant High Gloss Shine That Lasts. • Shine-On Is A Ph Balanced Formula That Repels Dust and Provides Long Lasting Prevention Of Coat Stains. 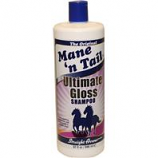 • Dry Mane Tail, and Coat, Mane and Tail Breakage Split Ends Tangled Mane and Tail. • Dry Use: Spray Until Enough Product Is On Hair To Create Slip. • Work In With Fingers Throughout The Entire Hair Until Tangle Free. • Do Not Rinse Out. • Wet Use: After Washing Spray On Hair and Work In With Fingers Until Tangle Free. • A Proprietary Formula Developed By Straight Arrow To Meet The Quality and Performance Standards Of The Mane N Tail Name. • Exclusive Micro-Enriched Formula With High Lathering Agents, Cleans Without Stripping Natural Oils. • Fortified With Moisturizers & Emollients Providing Body & Shine With Enhancing Coat Health & Appearance. 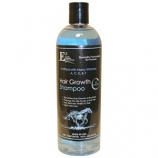 • Gentle & Safe Ph Balanced Formula. • Detangler Is For Dry Mane, Tail & Coat Mane & Tail Breakage Split Ends Tangled Mane & Tail. • Dry Use: Spray Until Enough Product Is On The Hair To Create Slip. • Wet Use: Apply After Washing. • Spray On Work In With Fingers Throughout Until Tangle Free. High-luster coat polish and conditioner. Producesa brilliant shine. Equiveil technology delivers unbeatable coverage. Vitamin-rich to keep hair manageable and tangle-free. .
High gloss polish produces a mirror like finish. Use regularly to help reduce staining adding protection that lasts for days. Natural look and feel helps repel dust and dirt. Manes and tails are easier to brush and comb helping save grooming time. .
• The Original Mane N Tail Hoofmaker Is An Exclusive Protein Enriched Formula Developed To Maintain Strong Yet Flexible Hooves. • The Deep Moisturizing Formula Helps Reduce Dry and Brittle Hooves, Regular Use Maintaining Stronger, More Flexible Hooves. • Dries Quickly Without A Greasy Residue. Protects Against Nail Damage, Restores Vital Nutrients. • Apply To Hands, Nails, Cuticles & Body As Necessary. Massage Into Dry Skin. Fortified withNanoVitamins A, C, E & F which are NanoEncapulated in a sustained and controlled delivery system. This enhanced delivery system of vitamins, along with the natural qualities of argan oil. 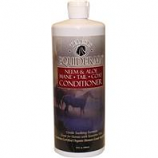 Adds moisture to assist in the development of a shiny and soft coat, mane and tail. Elite Pharmaceuticals - Argan Oil Shampoo - Orange - 32 oz. • Results Can Be Seen After One Application. • Exclusive Protein Enriched Amino Acid Formula With An Unique Action. • Constant Use Will Maintain, Nourish & Condition Hair & Skin To Aid Healthy Hair Growth. Matching companion product to the neem shampoo. Aimed at softening and conditioning hair with natural ingredients.. . . .
Gently cleanses with no harsh chemicals soaps or synthetic waxy thickeners.. Contains Need oil extract arnica and several other beneficial natural components.. . . .